Cloud Computing is a fast emerging solution with a host of technological changes happening in the front. There is a spectrum of opportunities waiting to be explored in cloud computing, with IT professionals who embrace this technology on the rise. Studies reveal that Cloud Computing market will increase to $127 billion by the end of 2017. The domain is expanding with applications in Mobile Marketing and Customer Relationship Management exerting the need for trained cloud computing professionals. This has made Salesforce training in India popular and the same is acknowledged by bizjournals.com. Most effective and innovative adaptations are developed by Salesforce to boost your career. The job opportunities to be created by Salesforce is expected to be put at 4.2 million especially in the field of cloud computing. The professionals have a range of opportunities to explore, evaluating the strengths to become an indispensable workforce. Fortune 500 companies are on the lookout for qualified and trained Salesforce professionals to give a new dimension to the CRM. The only way to attract the attention of these companies is to get certified in Salesforce skills. The certification goes to prove your knowledge and experience to your potential employers. A certification will provide a thorough understanding of Salesforce on how to improve the customer relations and sales. As you get deeper inside the nuance platform, you will realize the number of tools available you will have no access too despite the experience in the field. Hands on experience packed with case studies on real time projects give a certified professional an edge over others. A training course is recommended for those organizations that are looking for active customer interaction. The success of the organization depends on being available when the customers want you. This is where Salesforce certification comes to play. Updating to the current knowledge base is crucial for any business. The advantage of cloud technology is the releases are automatically updated to give access to latest features. There are a number of updates in a year and certification could ensure you are never let out in the race. The success of a sales representative is to being able to plan efficiently. Certification gives a thorough understanding of the platform and ability to quickly navigate through applications and be able to handle customers better. A certification can give access to latest tools to enhance the processes. This can make your work-life balance give you ultimate satisfaction. Organisations think of returns and studies reveal that investment in training has provided higher returns. The Salesforce certification is sure to offer better results in comparison with other certification courses. Therefore taking a course can make it a worthwhile investment. The opportunities are immense post certification. There is no doubt that a certification is an accreditation of your skills. The skills are validated and help prove the commitment of your domain. 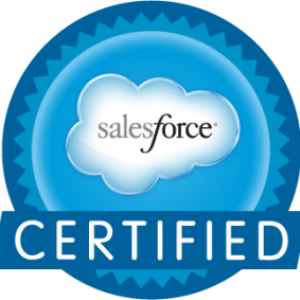 Being armed with Salesforce certification is definitely an asset to the organization. 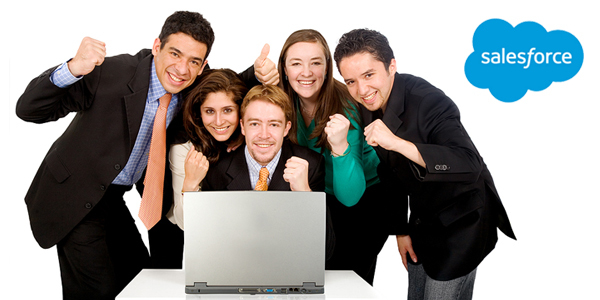 Kick start your career with the best certification courses and enjoy all the attention.